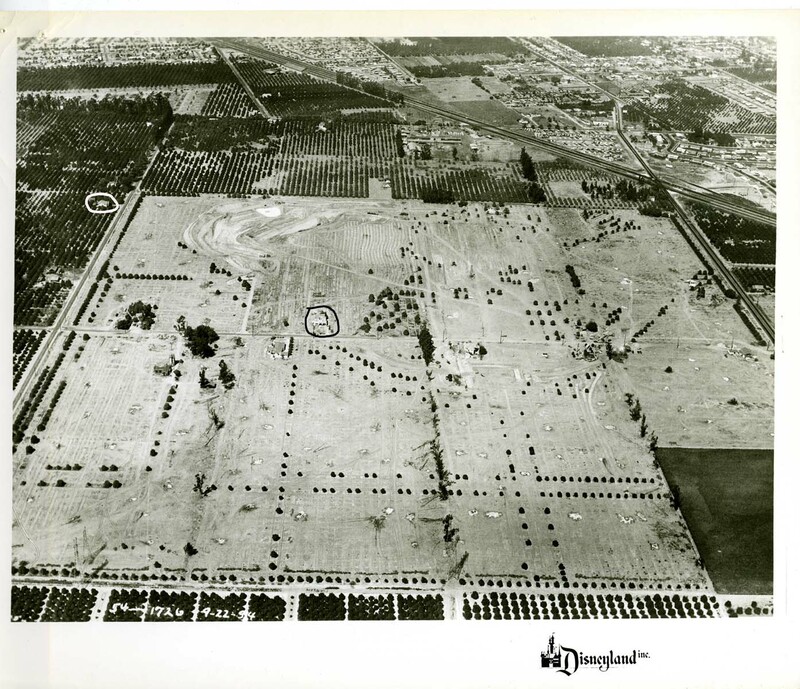 Disneyland on Wednesday, September 22, 1954, after tree clearing and the start of preliminary grading. The house circled in white is George Vandenberg's house--the "White House" mentioned in Van France's book "Window on Main Street." The house circled in black is the Dominguez family's home. The house below and to the left is the home of Gerard R. & Anita B. Callens. This house and the Dominguez home would be moved and connected to form the park's first Administration building.